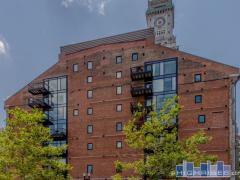 Strada 234 is a 90-unit high-rise loft building overlooking Boston Harbor, Downtown Boston, and the new Zakim Bridge. Strada features one, two and three bedrooms homes with huge windows and sweeping views. Located on the edge of the North End and just steps away from the T.D. Banknorth Garden and the Financial District, Strada 234 is right in the heart of the city. The term “strada” itself came from the Italian word for “street” due to its close proximity to the North End, the predominately Italian section of Boston. The homes at 234 Strada include luxury features such as central air conditioning, 24-hour concierge services and valet garage parking. Have any comments or questions about Strada 234 Lofts? Ask your question and/or share your thoughts about this Building. I was inquiring about affordable housing?